I’m totally lusting after Alexander McQueen’s knuckle clutches – this one in particular! 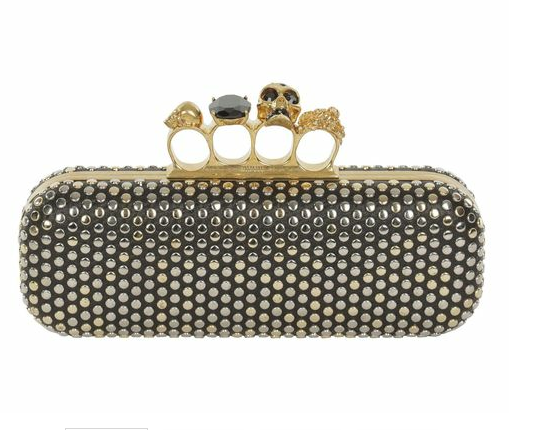 This Bi-color Stud Knucklebox Clutch is outstanding! The silver and gold studded leather skull with Swarovski crystal rings makes this an instant statement piece. Ah — a girl can wish, right? All things cute, fashionable and trendy! Next Post July 2017 Horoscope – Boom!